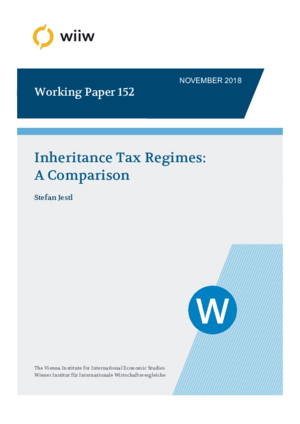 This paper provides an overview of different inheritance tax regimes in selected European countries and the United States. We identify that in the majority of countries the tax rate is related to the relationship between bequeathing party and the bequeathed as well as the value of the inherited assets. In most countries the transfer of wealth within families is treated preferentially (lower tax rates, tax exemptions and reliefs). This is particularly the case for business assets and family homes. This analysis further discusses the features and effects of inheritance tax regimes based on various criteria. These cover behavioural responses of individuals and different distributional effects of an inheritance tax. Furthermore, the amount of tax revenues varies considerably both between countries and over time. Although the actual revenues of inheritance taxation are quite low in the selected countries (ranging between 0.1% and 0.5% of GDP), some indicators point to higher revenue potentials in the future. Due to an increase in private wealth and its concentration over time, we can expect to observe an increase in inheritance tax revenues, even though countries allow a high tax-free allowance. An appropriate design of inheritance taxation could further help to foster economic growth and decelerate the increase in wealth inequality.